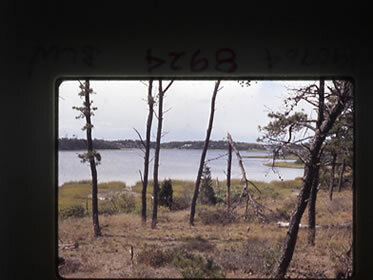 Could Follins Pond on Cape Cod be the site of Leif’s Camp? 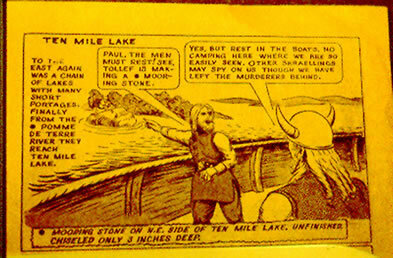 One of the most interesting cases for Vinland being on Cape Cod has been made by Frederick J. Pohl, a highschool teacher in Brooklyn, N.Y. (not to be confused with the science fiction writer of the same name). With little knowledge of the eleventh-century Norse, Pohl assumed that the Vinland sagas were travel logs, accurate to the last detail. Furthermore, he based his interpretations on English translations of the sagas, some of which did not entirely reflect the original wording and therefore were misleading. However, his engaging writing style and detective approach have gained him many followers and a wide acceptance of his work. Frederick Pohl died in 1991 at the age of 98. 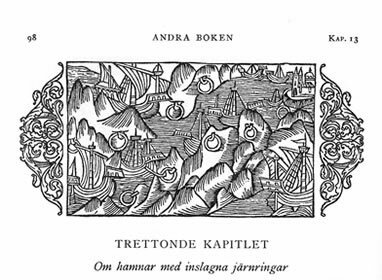 "The Saga of the Greenlanders" states that it took Bjarni nine days of sailing to Greenland from the area later named Vinland. Pohl assumed that a Viking ship could keep a steady pace of about six knots or 150 miles per day. This made for a total distance of 1350 miles. Pohl applied these measurements to maps of the Atlantic coast. This led him to Nova Scotia, but then Newfoundland would have to be Markland, and he did not think that Newfoundland fit the saga’s description of flat shores and big forests. He felt that these attributes fitted Nova Scotia better. Vinland would be the next landmass south of Nova Scotia jutting out into the Atlantic, which is Cape Cod. There he found the Bass River, which had to be entered from the southern shore of the Cape. 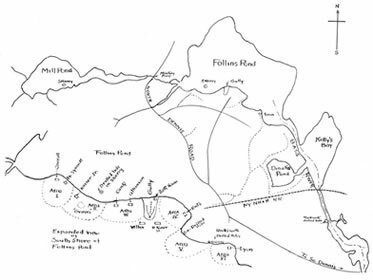 The river was the outlet of a small lake, Follins Pond, in the centre of the peninsula. 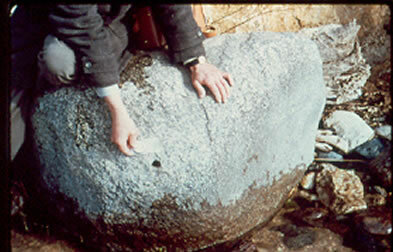 Pohl was delighted to find his theory confirmed by the presence of “mooring holes” in rocks in the river and on the shore of the lake. These, he believed, were tangible proof that Leif had anchored there. He was then able to identify the areas where Leif would have had his houses, where his ship would have been hauled ashore, and where Helgi and Finnbogi had their houses. From a study of air photos he also identified where Karlsefni’s palisade would have stood. Holes drilled into rocks along water ways and former water routes have been classified as Norse “mooring holes” by some writers. 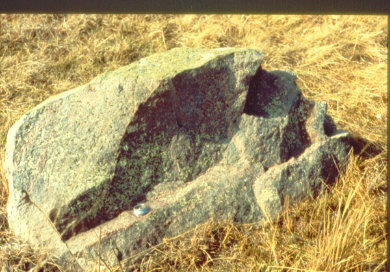 Presumably, when landing in areas where a speedy departure might be necessary, the Norse drilled a hole in a suitable rock and inserted a mooring pin into it. The pin was attached by a line to the ship. When mooring, the Norse inserted the pin into the hole. For departing they simply tugged on the line, pulled out the mooring pin and stored it for use the next time they landed. The holes are about 3 cm in diameter and about 12 to 15 cm deep, usually triangular in shape. 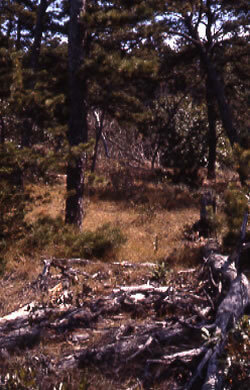 Several series of holes have been identified as evidence of Norse landings. 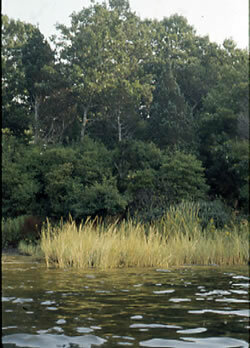 One was located on Bass River, the outlet for Follins Pond on Cape Cod. 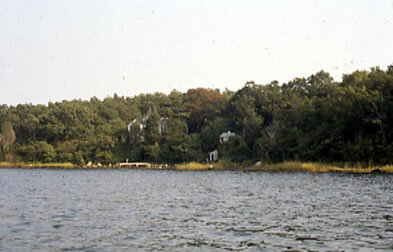 Two others were found on the shore of Follins Pond itself and the nearby Mill Pond, close to where Frederick Pohl had predicted they should be if the Norse had stayed there. Some say that the holes were drilled for blasting stone for the construction of a breakwater at the mouth of Bass River during the first half of the 19th century. What do you think? What evidence can you find for how the Norse moored their ships? 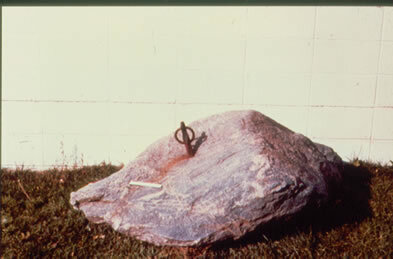 At the invitation of Frederick Pohl, members of the Massachusetts Archaeological Society undertook excavations in 1952 and 1964 in the areas pinpointed by Pohl. 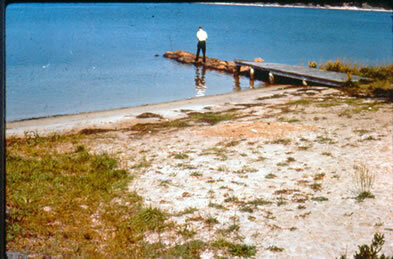 They did indeed find evidence of a ship beached on the shore as indicated by Pohl. 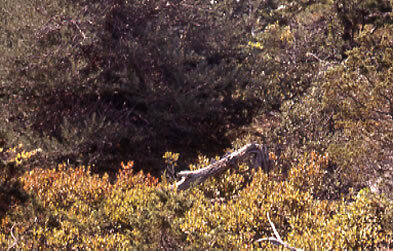 Evidence of posts was found in the area said to be Karlsefni’s palisade and hollows in the ground where Pohl believed that the houses of Helgi and Finnbogi had stood. But could the beached ship have been something other than a Viking vessel? Did stakes in the ground necessarily mean that it was Karlsefni who had put them there, and could the hollows be from anything but Norse houses? And what were the mooring holes?